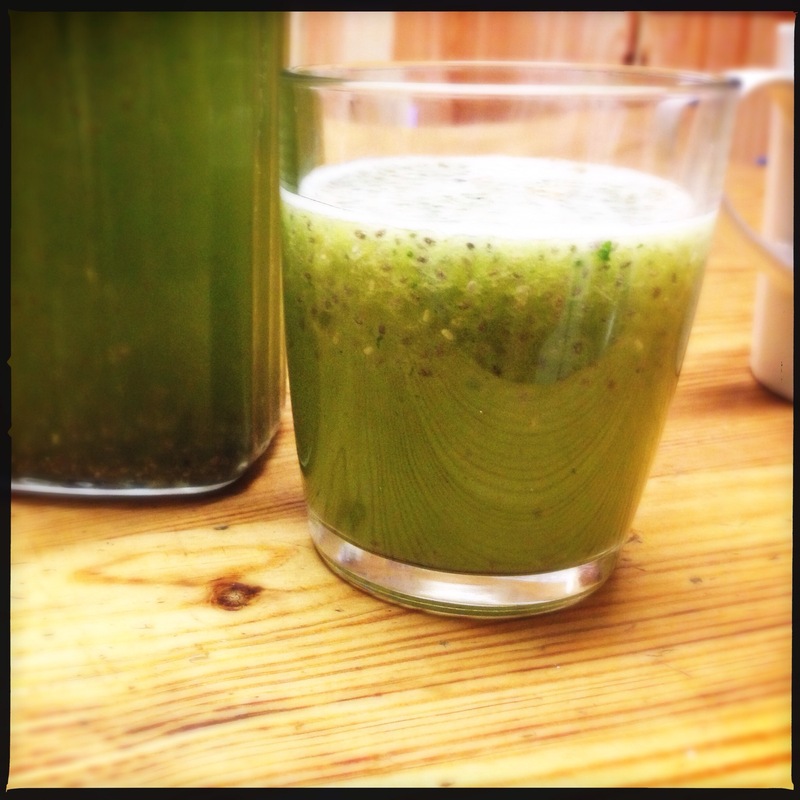 I wanted to make a really healthy, yet tasty sports-style juice that was ideal for having after a run or work out. This juice is light and refreshing. Perfect for re-hydrating and for a little boost of energy! Using a juicer, alternate adding in the pineapple and mint, starting and ending with pineapple, to insure you get all the mint juice. 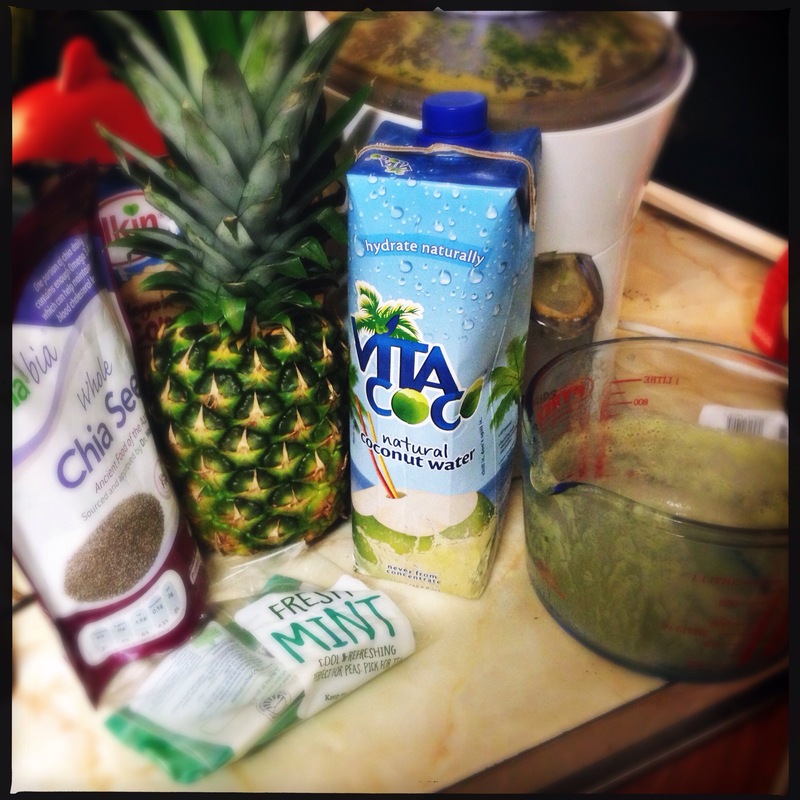 Pour into a jug and add in the coconut water and the chia seeds. Allow it to sit until the chia seeds get almost jelly-like. 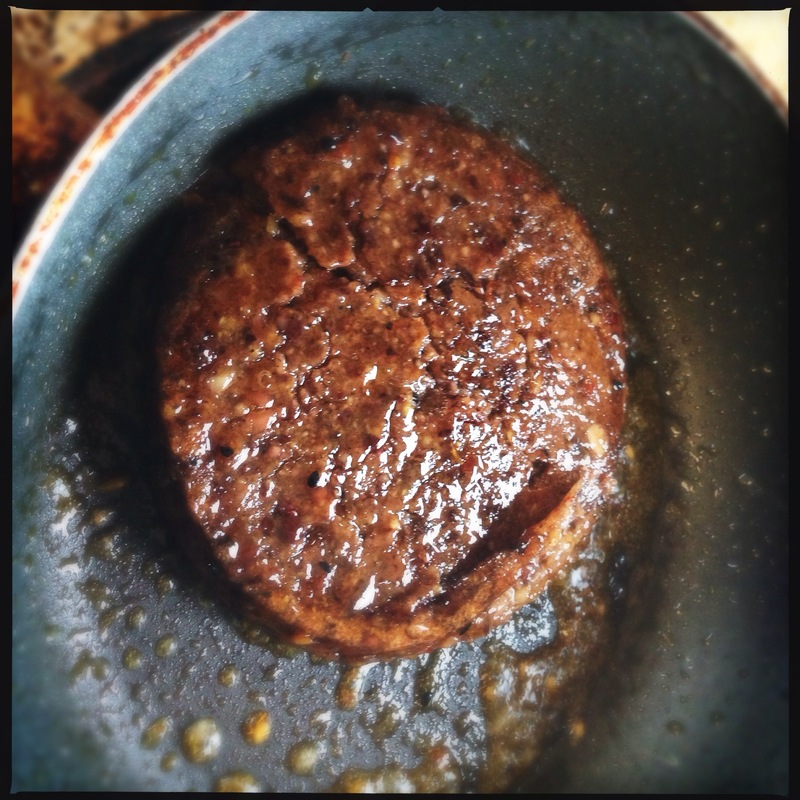 Then it’s ready to serve – pour into a glass or bring in a bottle to the gym and enjoy! Coconut water will help keep you hydrated. Pineapple will give you a quick release of sugar and provide energy, it’s also high in acids with can help break down fats. Chia seeds provide fibre to keep you fuller for longer, plus its got protein and omega 3. 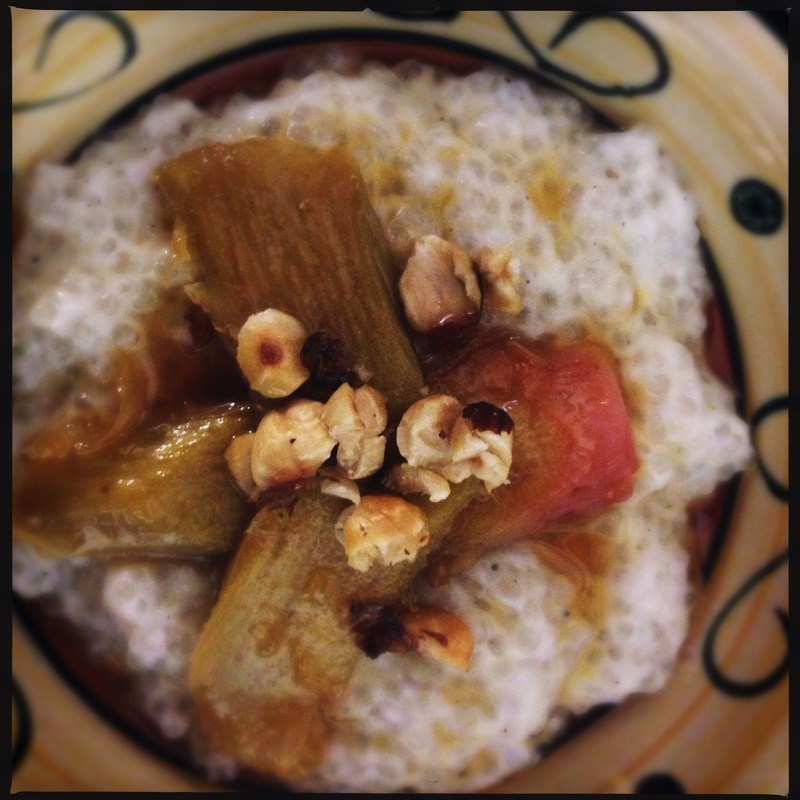 Cardamom Spiced Tapioca Pudding with Orange and Ginger Poached Rhubarb, Topped with Toasted Hazelnuts. I remembered an old rice pudding recipe I had that used cardamom and was just delicious. But when I went to buy the pudding rice it was sold out, so I tried tapioca instead. The texture was even better than the rice and it’s a perfect treat as the autumn evenings begin to draw in. 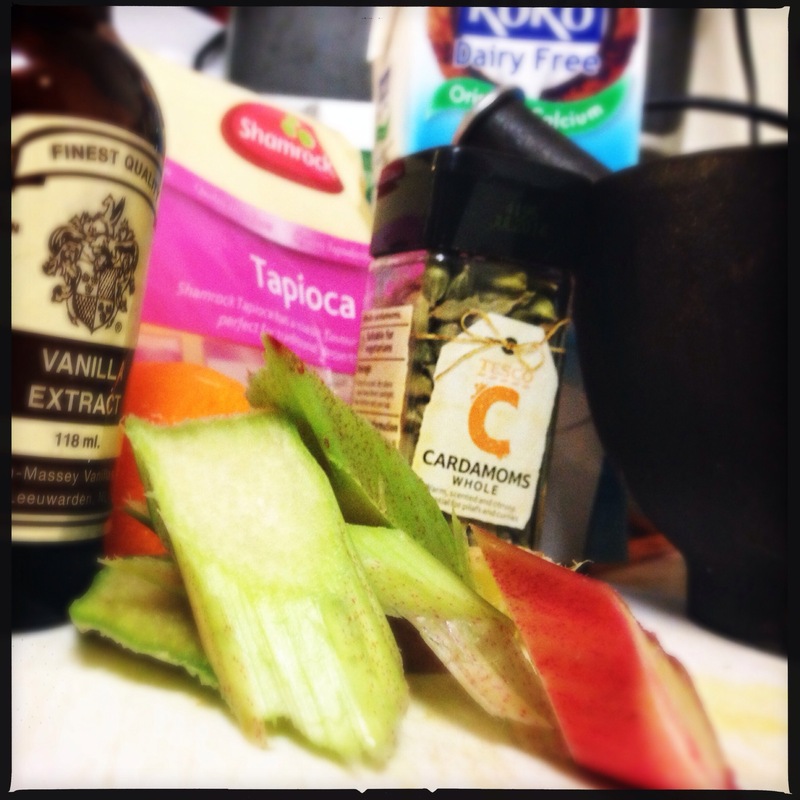 First, make the tapioca. In a pot add the coconut milk (or dairy free milk) and the ground cardamom seeds and bring to the boil. Add in the tapioca and turn down to a simmer and cook for 20 minutes. Next add in the sugar and stir well. Take off the heat and let it stand for 5 minutes. Now get to work on the rhubarb. 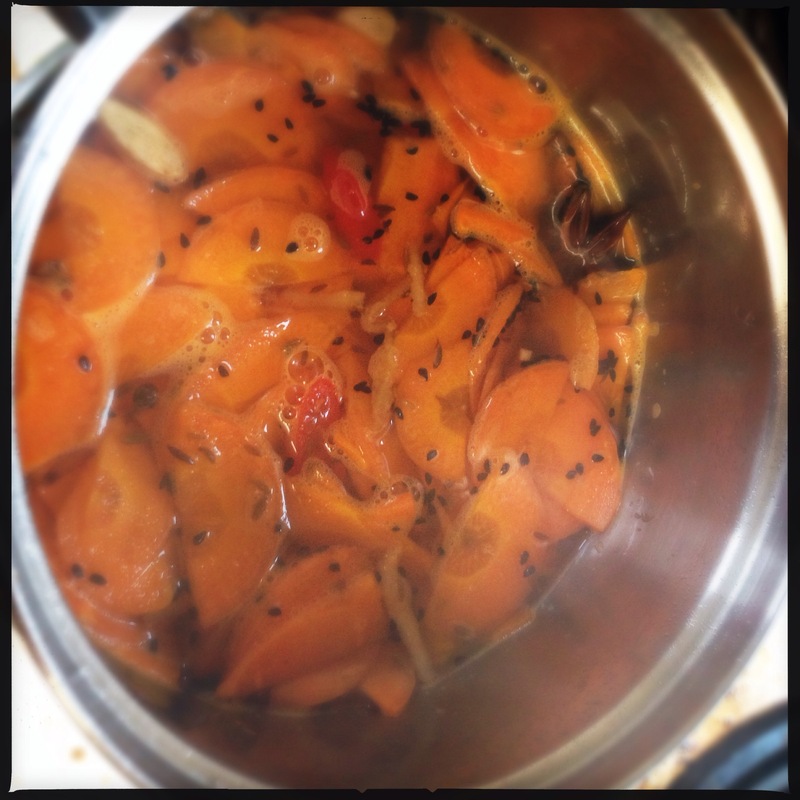 In a small pot add the apple juice, ginger, vanilla, orange juice and zest, and bring to the boil. 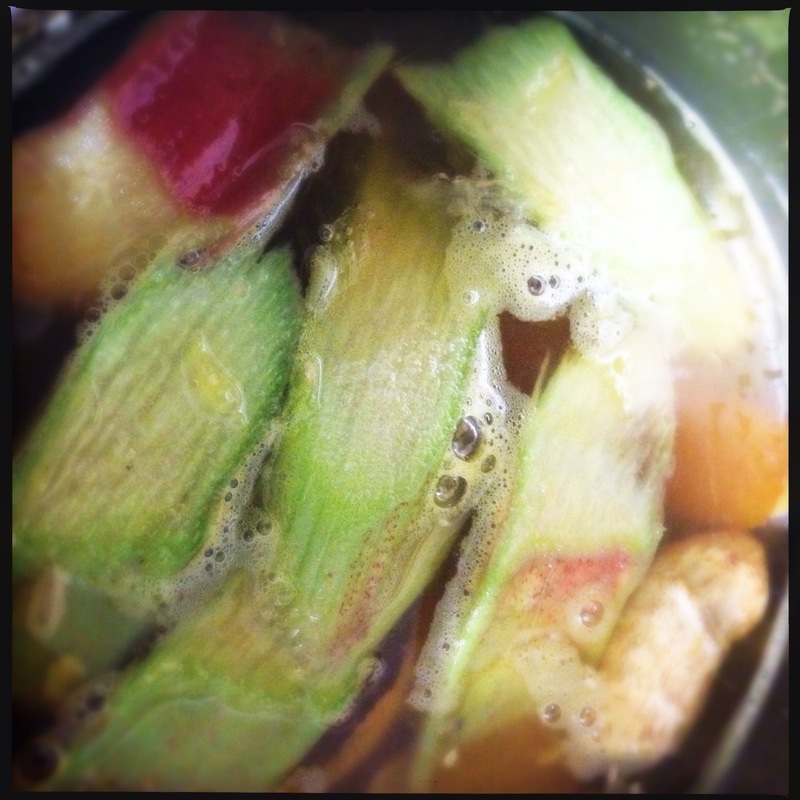 Add in the sugar and sliced rhubarb and turn down onto a low heat. Cook until the rhubarb is soft but keeps it shape. 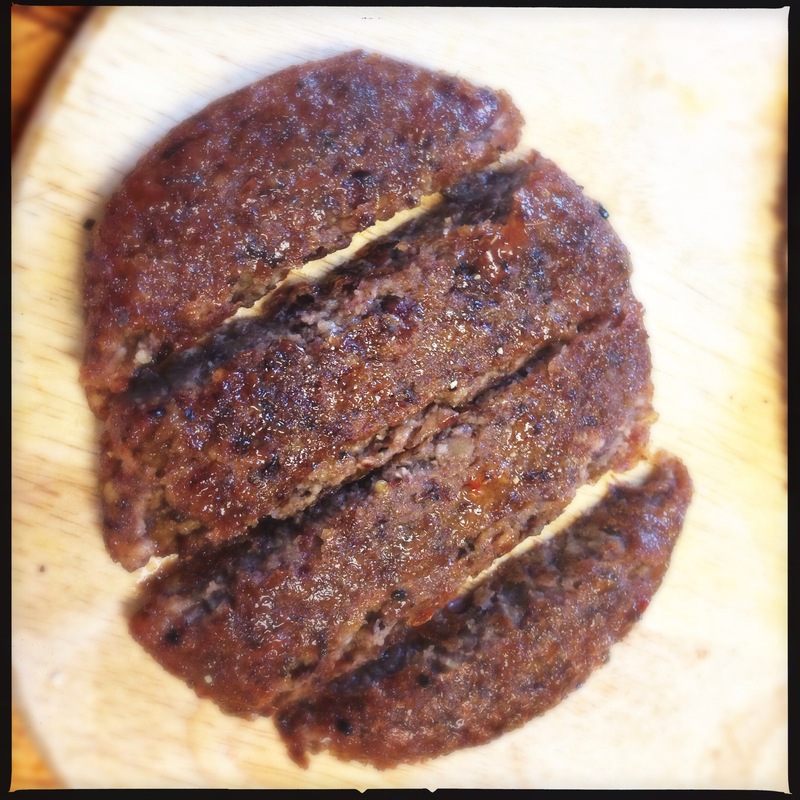 Sweet and Spiced Pickled Carrots with Dee’s Spicy Bean Burgers in Toasted Pitta’s. : I’ve recently been doing a lot of pickling and preserving, but I’ve never had pickled carrots before and had a total brainwave about pickled carrots and Dee’s Burgers! It turned out to be delicious. The crunchy texture was divine and a touch of rocket brought a subtle peppery dimension to the dish. Method: To make the brine, first place the sugar, vinegar and spices in a pot and bring to the boil until the sugar is dissolved. Pour it over the sliced carrots and allow to cool. 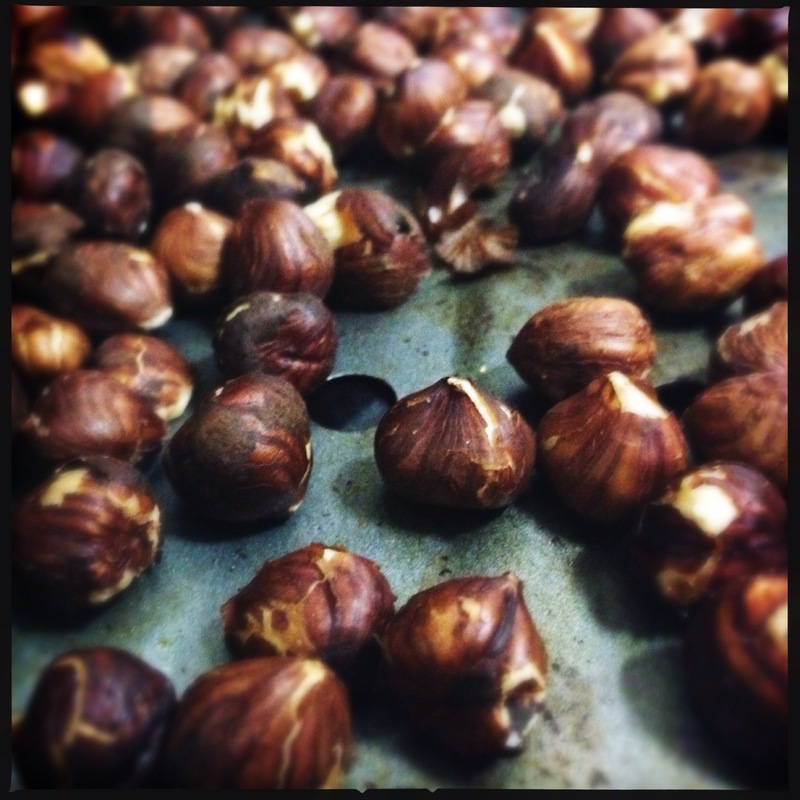 Once they are cooked, place in the oven for 1-2 minutes until you’re ready to use them. 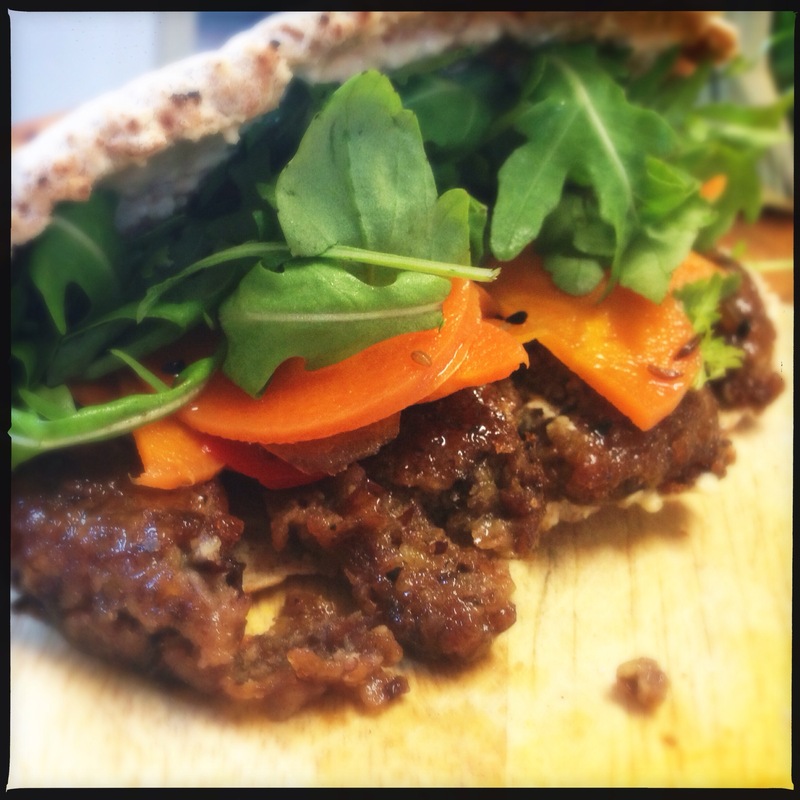 Finally, toast the pita bread’s, cut open and spread some hummus on both sides, add the burgers (cut into 4 strips ), some rocket and some of the cooled picked carrot and enjoy! This pour over brine recipe can be used for a few other vegetables like; sliced cumber, green beans or even red onion.